Detail Produk "spectrophotometer shimadzu uv vis double beam 1800"
Boasting the highest resolution (1 nm) and the smallest footprint of all compact standalone UVs in its class, the UV-1800 Spectrophotometer delivers better performance and ease of use with powerful functionality and UVProbe software, supplied as standard. 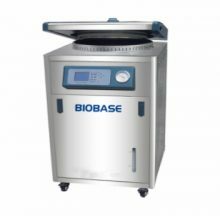 Offering an array of user-friendly features, the UV-1800 easily satisfies pharmacopoeia requirements as well as the demands of university laboratories, government agencies, and the food industry. 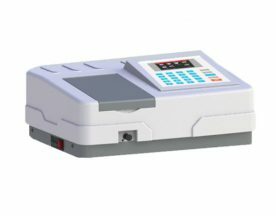 Featuring the highest resolution in its class, the UV-1800 easily satisfies the standards of wavelength resolution demanded by the European Pharmacopoeia. Additionally, using a spectroscope with a Czerny-Turner mounting results in a compact, bright optical system. Stray light, wavelength repeatability and baseline stability have also been advanced to meet user requirements. Only 450 mm wide, the UV-1800 is one of the most compact instruments in its class, allowing installation in tight spaces. In comparison to the UV-1700, the setting space has decreased by about 15%, and the width has narrowed by about 20%. USB memory can be connected directly to the UV-1800. Users can now analyze data on a PC using UVProbe software. In addition, data for spectra and time-course curves can be displayed and saved with commercial spreadsheet software. Printing is possible to printers that support PCL control codes. 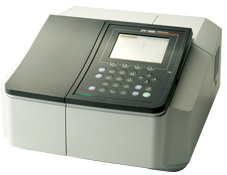 UVProbe is provided as standard software for the UV-1800. It enables control of the UV-1800 with a PC.